Please make note of this if you are mailing us or for appointments. At Absolute Celebrations, we LOVE what we do and that’s ROCKING your once-in-a-lifetime event! Whether it’s DJ Entertainment, Photography or Cinematography, our energy, passion and professionalism will bring your unique vision to light AND exceed your expectations. We pride ourselves on not just hosting your event, but also on helping you create and capture it. An event as important as yours deserves absolute care and attention to detail. That’s why you need an established and reliable team on your side. When you join the A-Celeb family, we’ll build a relationship that allows for open communication and creativity. We’ve perfected the planning process to guide you from beginning to end for a fun and hassle-free experience. And then you’ll see why so many couples have trusted us to make their event the most fun and memorable celebration possible! Full time professional dedicated to exceeding your expectations! Our combined team delivers more value and peace of mind than separate vendors can! 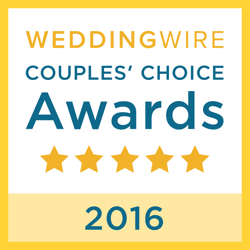 Hundreds of rave reviews and repeated winner of WeddingWire’s Couple Choice Award! Passion, love and energy that’s unsurpassed in the wedding world! We always bring our ‘A’ game to every celebration! Absolute Celebrations is a modern age production company providing quality DJ Entertainment, Photography, Cinematography, Lighting and Photo Booths. So many couples recommend their friends and families to us because we bring our “A” game to every celebration. With our love, passion and energy, we’ll be sure to exceed your expectations. Experience the Absolute Celebration magic! Our fun and charismatic team will kick off your festivities with non-stop energy and keep the party going full force throughout the night. We know how to read the energy and spirit of your guests to create the right entertainment atmosphere. We love motivating your crowd, getting their feet moving on the dance floor and seeing happy smiles on their faces! Sweet 15’s and 16’s, Quinceaneras and more…we do it all. The A-Celebs have the talent to create tons of fun and excitement on the dance floor that will last until the lights come on. We’re laser focused on making sure your party is so rocking that everyone will be talking about it long after it’s over. Searching for that ‘right’ mix of music and vibe for your party guests? The A-Celebs know how to play music that’s perfect for your event. We want you to be as involved in the music choice as you wish to be! Our planning portal makes this easy. Want to leave it in professional hands? As entertainment specialists, we’ll motivate your guests to the dance floor and bring out the best in everyone! Let our professionals direct your formalities, motivate your crowd’s energy, and help you plan the celebration that you’ve always envisioned with elegance, style, and above all, fun and great experience for your family and friends. But you’re in great hands with Absolute Celebrations. We are experts at telling the unique story of your day with stunning and breathtaking images. Bold and daring is our model, but we’re low-key and sensitive for this tender moments. Our experienced Cinematographers create a visual story to recapture the voices, laughter, excitement, and music that develop organically throughout your Wedding Day. We focus on capturing not only the sights of the surroundings, but also preserve your intimate moments to be shared for a lifetime in a movie trailer style video. Make the most out of your memories with endless entertaining snapshots! When will you get another chance to take a photo with Great Aunt Barbara wearing a viking helmet? Our photo booth lounge allow you to preserve your candid moments on your special day, is a big hit with your guests and keeps them smiling the entire night! One of the largest visual impacts to add in your wedding reception plan and design is lighting. Different lighting options are available according to your preferences. Whether you envision your event to consist of vibrant colors & patterns, or more a subtle look, we offer multiple options to fit your vision. When they say they will rock your event, they mean it!!! When we first met with Elyse, she was great with helping us determine what we needed. She was up front and open about everything and tailored everything to us! We also met with Victor who laid everything out for our photography needs. After we booked, anytime we called the office and spoke to Elyse, Victor, or Kelsey, they were more than happy to help with our (sometimes silly) questions. DJ Fredo was phenomenal and played perfectly towards our crowd, which is exactly what we wanted! MC Frank was perfect with DJ Fredo and kept everyone on their feet all. night. long. During the black light show, MC Frank got everyone (and I mean EVERYONE) up and moving! They worked together so seamlessly that we couldn’t be happier! Papi was our photographer and he made everyone feel comfortable. Our photos came out beautiful that we can’t wait to start working on our album! Everything about our day was so memorable. Thank you Absolute Celebrations! See Us Live! Absolute Celebrations travels weekly throughout New Jersey, New York and Pa as one of the premier exhibitors and various Wedding and Event Expos. There are many shows that we actually perform LIVE at giving guests a taste of what it’s like to experience an Absolutely Amazing Event! Take a look at upcoming shows and if you would like to see if we are performing at a specific show that you want to attend, feel free to contact us and we will let you know! AWARD WINNING ENTERTAINMENT, PHOTOGRAPHY AND VIDEO! My wedding was on September 15, 2017 and I hired Absolute Celebrations as a full package (DJ, ceremony, photography, videography, photobooth, engagement shoot, lighting, TV’s, dancing on clouds, monogram, CO2 Blasters, etc). The engagement shoot was absolutely perfect and I loved all of the photos! It was so hard to narrow them down for save the dates. 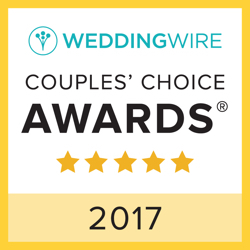 As we got closer to the wedding, I started getting a bit nervous seeing some of the other reviews on the site. Angel (the owner) reassured me that everything I wanted for my day would happen, and that my day would be perfect. Well let me tell you, it absolutely was. Angel himself (who wasn’t booked for my wedding) showed up that day to make sure everything went as planned (not that he needed too). The staff was absolutely amazing. Jay, my photographer, was super easy to work with and easy going. He made sure my first look with my dad and my fiancé went exactly how I wanted and the shots that he showed us were amazing! Our pastor, Rev. Martinez (which Absolute Celebrations got for us) was so nice and made sure to tailor the ceremony to both of our families. Chris (the DJ) and Angel & Alex (the MC’s) made sure everyone was on the floor dancing all night! We wanted them to play to the crowd, and they absolutely did. Everything I filled out on the planning forms was perfectly followed (from the ceremony details, to the video montages, to the play and do not plays). Our guests loved the photobooth as well as the white gloves and glow sticks!! 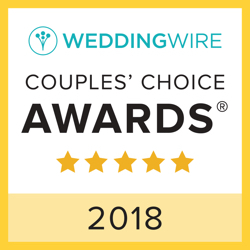 Its been a little over 2 weeks now and our guests are still telling us how much fun they had at our wedding and how great our entertainment company was! They really helped my our day special and memorable and it was worth every penny. I attached some pics (from photographer & 1-2 from guests) and can’t wait to see the rest and the video!! DJ Fredo and Nick (our MC) were fantastic. They made sure everything was perfect throughout the whole ceremony and reception. They even came over after the reception was over and made sure everything was perfect which it was. Highly recommended company all through out. We booked everything through them including photo, video and entertainment. Victor was the best photographer I’ve ever encountered. And my same day edit was incredible. Thank you Tim and JR! Love love love absolute !! They worked with me and when the day came everything was perfect !!! A big thank you for the wonderful wedding entertainment provided by Fredo and Nick. The talent, precision, and skill they displayed truly made my guests experience an awesome time. The A-celebs took care of every single detail and made sure my wife and I did not have to worry about anything. They supported our every need and truly cared that our wedding was as memorable as possible. Thank you Fredo and Nick !